Shortly before daybreak in War, West Virginia, a passing train derails and spills an avalanche of coal over sixteen-year-old Emma Palmisano's house, trapping her sleeping family inside. The year is 1924, and the remote mines of Appalachia have filled with families like Emma's immigrant laborers building new lives half a world away from the island of Sicily. Emma awakes in total darkness, to the voice of a railroad man, Caleb Sypher, digging her out from the suffocating coal. From his pocket he removes two spotless handkerchiefs and tenderly cleans Emma's bare feet. Though she knows little else about this railroad man, Emma marries him a week later, and Caleb delivers her from the gritty coal camp to thirty-four acres of pristine Virginia mountain farmland. 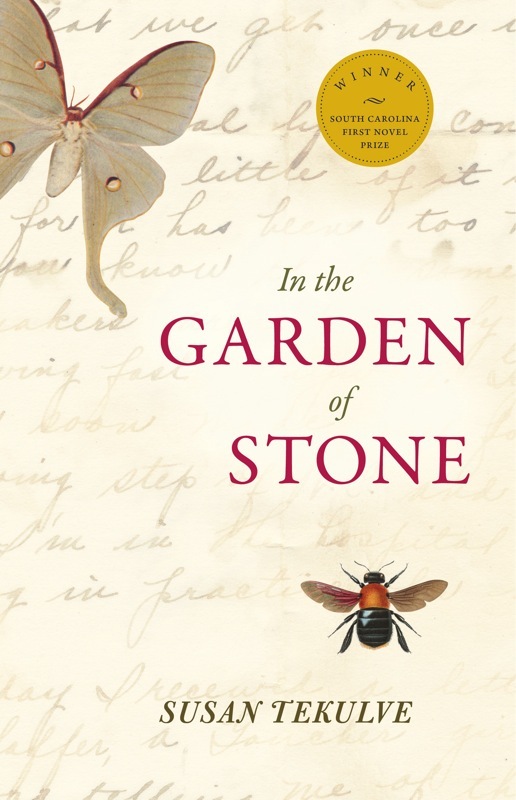 In the Garden of Stone is a multi-generational tale about the nature of power and pride, love and loss, and how one family endures estrangement from their land and each other in order to unearth the rich seams of forgiveness. 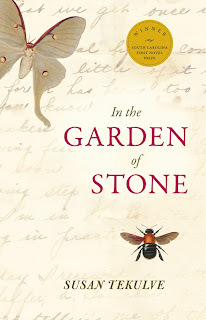 Bleak, harrowing, and beautifully told, In the Garden of Stone is a haunting saga of endurance and redemption. The Setting~ West Virginia came alive through the descriptions in this novel. The descriptions of the landscape made me feel as if I were really there.The times featured were interesting as well. When we imagine the past we think of a simpler time. Things may have been simpler but they were also harder than we can imagine. The Pace~ This tale unwound in a deliciously slow way. The Characters~ The people in this book were flawed, which is just another word for realistic. I miss spending time with them. Can we expect a sequel? I'm crossing my fingers. The Format~ You could argue that this is a book of short stories. I enjoyed learning new details about certain events when the story was told from a different characters perspective. This method really worked to drive the story forward in a unique way. The Mood~ The description above nailed it: bleak, harrowing, and haunting. The language is beautifully poetic. In the Garden of Stone is a book I can easily recommend. 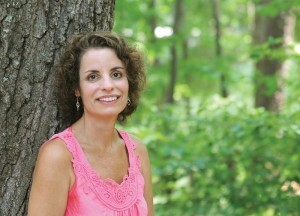 Susan Tekulve’s nonfiction, short stories and essays have appeared in journals such as Denver Quarterly, Indiana Review, The Georgia Review, Connecticut Review, and Shenandoah. Her story collection, My Mother’s War Stories, received the 2004 Winnow Press fiction prize. Author of Savage Pilgrims, a story collection (Serving House Books, 2009), she has received scholarships from the Sewanee Writers’ Conference and Bread Loaf Writers’ Conference Scholarship and teaches writing at Converse College. I've been waiting for this review. The books sounds pretty amazing, not my 'usual' read but I'm well out of that comfort zone now I think anyway. Hooray for stepping out of our comfort zones ;) You never know what gems you'll find. This sounds like something I might enjoy. What a great idea for a story. This sounds gloriously sweet. I am very tempted to read it. Great review -- you captured it so well, from the pace to the mood. So good! Thanks for another great and enticing review! You're very welcome :) I hope you'll be able to find time to read this one! Wow. Thank you for this review. I will be sure to get this one. Yep. My to read list for adult fiction is growing in a rather marvelous way! On a side note, I've noticed quite a number of people using BlogLovin' so will be checking it out. LOVE the look of your blog, btw. All best and Happy BEA Blog Hoppin' today! Oh good, glad to hear that is has piqued your interest Deb! This sounds great. I love when authors give you the same story from different POVs. I really liked it in this book. I read some reviews that complained about the same stories being told over and over again. I didn't get that from this at all! Lovely review. Sometimes "deliciously slow" is the best way for a book to unfold. Love your description there! Thanks Monika :) There was no rush to this, it meandered in a very pleasant way. I'm prejudiced against "Southern fiction", and often don't like multiple perspectives, but this review could certainly overcome both of my weak objections! ok, this one needs to be added to my TBR, would fit perfectly for me US reading challenge, thanks! and thanks for this amazingly generous and easy giveaway! Reading that summary, given the previous books I've read, I thought it was going to end with a bad marriage, yet that doesn't sound the case. And it's something really appealing. There aren't many happy marriages in this book to be honest ;) But it's a great and melancholy read! Deliciously slow... ;) Sounds good!